Kolisch Hartwell advises clients on all aspects of trademark protection, and has obtained and maintained registrations for thousands of trademarks in the United States and abroad since 1952. Our highly experienced attorney team has registered, licensed, or litigated such famous trademarks as Hula Hoop®, Frisbee®, Hacky Sack®, Koosh®, and Trail Blazers®. We routinely handle trademark work ranging from assisting startup businesses in selecting company and primary brand names, to developing and managing portfolios of hundreds of U.S. and foreign trademark registrations for large companies. We are one of only a few firms to have argued trademark law before the U.S. Supreme Court. In addition to traditional word and design trademarks, Kolisch Hartwell has extensive experience protecting product and packaging configurations. We are also experts in using international treaties, such as the Madrid Protocol, to product a trademark across many countries with a single application, and are experienced in using U.S. Customs and Border Protection procedures to stop infringing imports. Clients benefit from our network of trusted colleagues and associates around the world that assist us with international trademark issues. Trademark clearance and registrability searches Knowing that a proposed mark is a strong candidate for use and registration before investing too much time and money building its reputation is a good business move. 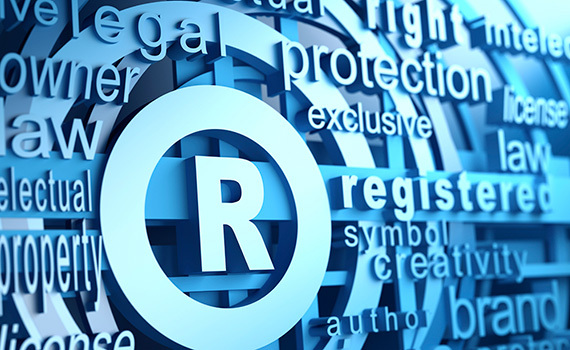 Kolisch Hartwell conducts comprehensive trademark clearance and registrability searches to guide clients in the selection of new trademarks. We use our in-house expertise to search for proposed marks in numerous federal, state and common law databases to confirm the safe use of marks and to evaluate their potential for registration. Application and prosecution Federal trademark registration confers many benefits to the owner of a mark, such as providing nationwide notice and strong evidence of trademark ownership. Registration also creates a basis for accessing the federal courts to settle trademark disputes, for obtaining foreign registrations, and for using the U.S. Customs Service to block importation of infringing foreign goods. Kolisch Hartwell prepares U.S. state and federal trademark applications and takes all steps needed to advance to registration. We also handle trademark registration in all foreign countries. Assistance with other trademark issues Once trademark rights are acquired, additional legal issues occasionally arise. We provide timely, experienced and efficient representation on behalf of our clients in all trademark matters, including asserting and defending our clients’ trademark rights in U.S. and foreign opposition and cancellation proceedings, formal and informal dispute resolution, U.S. Customs and Border Protection seizures of infringing goods, and other methods of policing and enforcing our clients’ trademark rights. Contact us to learn more about our Trademark services.